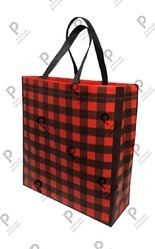 Reusable Jumbo Bags as called heavy duty Jumbo bags this bags can be use multi times. Top and Bottom Spout as made per customer required. 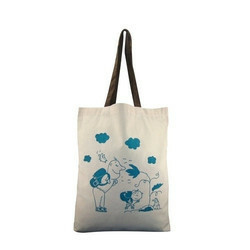 We are manufacturer, supplier and exporter of wide range of reusable tote bags made up of jute. We are able to manufacture, export and supply the best quality Reusable Shopping Bags for online sale and export. These shopping bags are appreciated in the market for their high quality & strength. We also offer perfectly stitched burlap shopping bags to our buyer. Buyer can avail products from us in attractive designs. Zukou offers a wide range of eco-friendly reusable bags made from jute(laminated and unlaminated) and canvas. Other than the images shown below, we also make custom designed bags with your choice of print, size and design aspects. Gorcery Reusable Bag made up of 100% Eco friendly cotton fabrics. We are engaged in providing an exclusive variety of Reusable Calico Bags. The offered range of calico bags is known for its innovative patterns, durability, appealing looks and attractive color combination. Also, this range of calico bags is crafted utilizing premium grade fabrics, which is sourced from trustworthy vendors.